Broader conceptual or epistemological issues that have have political implications. What can we practically do to help safeguard our emotional wellbeing? What actions can we take individually and collectively, to support the wellbeing of our loved ones and community? How do you even begin to practise self-care when you are facing bullying, discrimination and/or harassment at work? How can we cope with so much systemic and geopolitical violence and, should we? As Black women and femmes; there are few opportunities that exist where we can ask them openly, where we can come together, learn from one another and discuss oppression related distress and stress. Yet, there is no doubt that experiencing misogynoir, institutional racism, everyday injustice, micro and macro-aggressions; can have a deep impact on our wellbeing and sense of safety in the world. ‘Self-care as resistance’ is a programme designed to start a conversation centred on our wellbeing and wellness. This event which is the first in the series is specifically for Black women and femmes and non-binary black people. It will offer an opportunity to examine our socio-political reality, its related traumas and their impact on us. 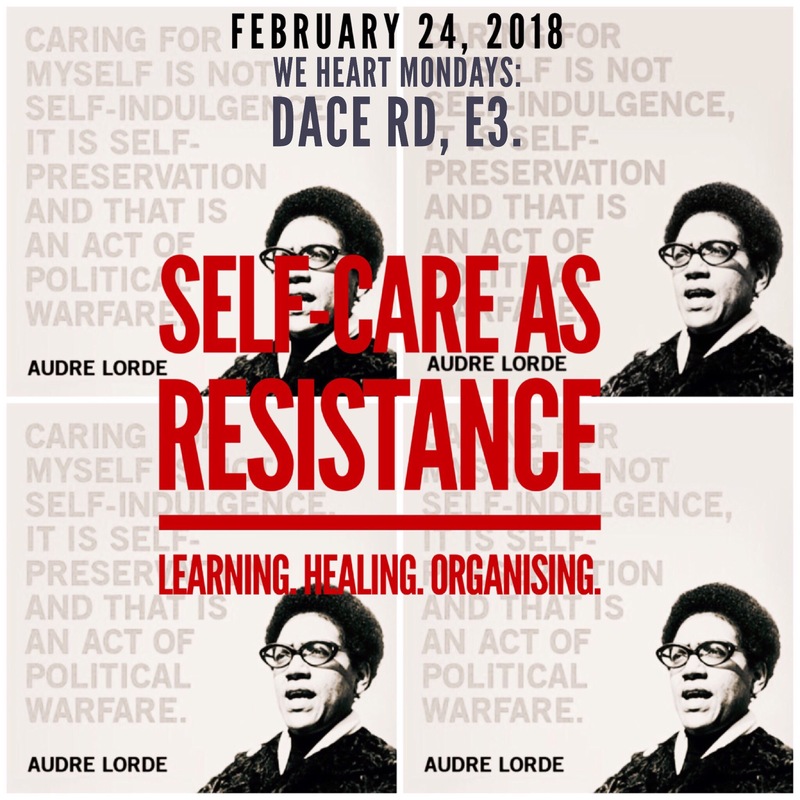 ‘Self-care as resistance’ has a strong practical focus. There will be several opportunities to practise self-care using evidence based and culturally adapted models. There will also be the chance to seek collective support, to share and to draw from the experience of others in navigating oppression. 14h45-15h30 Strategies for managing oppression at work: collective reflections 15h30-16h15 A panel on Black Excellence: Oppression or liberation? Kiri Kankhwende; journalist,TEDx speaker and political commentator. Marsha Gosho-Oakes; writer & Founder of Soul Culture. Marai Larasi is a Black Feminist Activist and executive director of Imkaan; a UK-based, black feminist organisation and the only national second-tier women’s organisation dedicated to addressing violence against Black and ‘Minority Ethnic’ (BME) women and girls. The brochure can now be downloaded here (please note it is still subject to change). For the February event; we are inviting Cis Black women, Trans Black women and Femmes and non-binary Black people to attend. The next event, planned for April 2018 will be open to ALL Women (and non binary people) of colour. The event will take place at We Heart Mondays; Dace Road, Tower Hamlet E3. 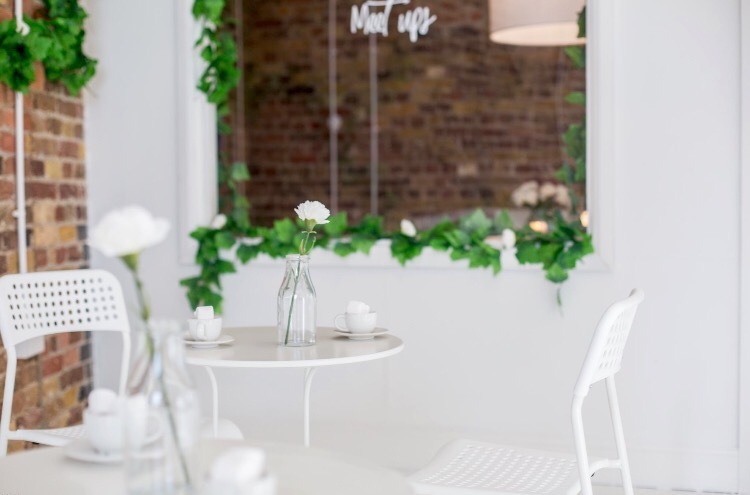 We Heart Mondays is a generous collective of influential women committed to supporting other …influential women; by providing them with (beautiful) physical & efficient virtual spaces together with a range of services to help them grow their venture. The cost of a place for the whole day has NOW been reduced to £20.00 (due to generous donations). If you can pay more than £20.00 we would greatly appreciate. The excess will go towards funding places for those who may struggle financially. We are continuing to raise funds to help with travelling and to support those who cannot afford to pay the full fee but; could benefit from attending. If you cannot afford to pay or would struggle with travelling costs; please get in touch via email bookings.selfcare@gmail.com; we will try to help. We have several FREE places! Please claim them and help spread the word. Light snacks and finger food will be provided. Unfortunately the venue; kindly provided to us at no cost courtesy of We Heart Mondays; is not fully accessible for wheelchair users. Please contact us for additional information about access and ways in which we may assist. To book a place, please make your payment via PayPal: paypal.me/guilainekinouani, indicating as a reference your first initial and surname (e.g. B Knowles). We will confirm that your place has been booked shortly after payment has been made. If you wish to request a FREE place, please email bookings.selfcare@gmail.com. If you do not wish to take part; but simply wish to donate (thank you), do use the PayPal account above (paypal.me/guilainekinouani). Please note, places are likely to go fast and will be allocated on a first come first served basis. *The Final Programme will be available to download shortly from here. When my eldest son was about 6; he wrote a poem at school he entitled sadness; which eventually got published. I am reproducing it here, with his permission. When he returned home on the day he wrote Sadness; elated and proud it had been selected for publication; I had to contain tears and shock. I instantly felt something significant was making itself manifest. I was not sure how to formulate. I can’t remember wether I cried or not in front of him but I know I cried, away from him. My son was happy. Pretty much had always been. The sadness was not his. The connection between the imagery of violence, my father and loss clearly evaded him. Like a messenger, delivering a sealed parcel. My father died about a decade before my son was born. My son had not known him. In fact, they had not known one another. I have not known much of my father either. Through the poem we were reconnected. Every family observes silences over certain events or experiences. Divorce in African families is something that often attracts silence. And so, I had never discussed my feelings with my son about my father’s passing. I had never discussed the circumstances of his death either. Silence was observed almost religiously around this too. Collectively. When my son asked about my father, I simply said that he had been unwell and had died long ago. As he grew up, I was able to say, his biological maternal grandfather, had died of a stroke and to explain to him what a stroke was. Which is true. But it is only partly true. He never asked more searching questions, perhaps he had picked up on the rule of silence. My father did die of the complications of a stroke. That’s the ‘he was unwell’ part. Nonetheless; he sustained the stroke during war. There was blood around him. There was mass murder. And likely too, there was the smell and taste of blood. Red is the right colour. What my son had ‘remembered’, the vivid images his psyche had reconstructed were so troublingly accurate. Possibly even biographical. Between 1997 and 1999, an ethno-political conflict erupted in Congo-Brazzaville, mainly located in the capital: Brazzaville, where my ancestry lies. This war was the second bout of political turmoil of the nineties and; a continuation of the civil war of 1993. Both conflicts were linked to attempts at removing president Sassou Nguesso and thus; were at least in part; attempts at freeing the nation from the grasp of neo-colonialism and from ‘Francafrique’. But…this was not information I had shared with my son. I thought he was too young. Perhaps too, I was not prepared to face the violence of it all or perhaps, my own sense of displacement. And this is information no one had shared with him because of this sacred silence. Yet, it had been transmitted so precisely to him, somehow. As a Parisian, born and bred, the political situation of Brazzaville had always felt somewhat removed from my day to day lived reality. Triply so. Removed through birth and upbringing. Removed because symbolically my biological father was the only tie which really attached me to Africa. That tie was not very strong because of divorce and almost evaporated when he died. Removed too through further displacement because of my own immigration to the UK. But Africa, Brazzaville and my father claimed ties with my son. Him who is even more removed than me. A further displaced and obliviously happy British born & bred little boy; at the time. An estimated twenty five thousand died in the two years of political violence that claimed my father’s life. It’s not clear how many died indirectly from the conflict. Likely many, many more. My father was one of them. He did not die at the hands of military or ‘rebel’ militias or by war artillery; but the war killed him nonetheless. Partly the stress of it, what he might have witnessed, the conditions he lived under; killed him. Partly the unavailability of medical care as thousands were displaced from their home and flew from the capital into the rainy equatorial forest in their bid to escape death. No doubt thousands eventually met their death there. Often grotesquely butchered. A distant cousin died indirectly from the war too. In the forest. A toddler who experienced a slow and painful death amidst the heat and humidity, wasting away no doubt from some preventable and treatable minor ailment; which could not be medically attended to during the conflict. His surviving twin sister became a political migrant in France shortly after. A decade or so after the conflict; she started to have nightmares in which she was seeing blood and smelling blood. And rotting flesh. She would have been not much older than a toddler when her twin brother died. She developed nightmares years after exposure to the trauma of war. Her mind remembered. Even though she could not articulate. So, there’s lot here to ponder on. And this piece is really to pose some of these questions more than it is to answer them. How did those images got transmitted and got associated with my father’s death so pertinently? Why did they get transmitted? Why to my son? Whose sadness was it he was touching upon? What’s the significance of the poem for me, for my son? What learning is contained within it; for all of us? I don’t know what my father saw in the weeks or months that preceded his death, but I guess my son’s poem tells us a little bit of how things might have been like for his grandfather. Of the terror and horror he witnessed. Unlike my cousin who was exposed to the trauma of war albeit as an infant, my son was not. I was not either. Possibly by luck of birth. But at the same time, we all were. And we have all been displaced. Currently, very few therapeutic approaches acknowledge historical trauma or the intergenerational transmission of trauma, let alone work with it. It certainly does not feature in DSM conceptualisations of trauma. And again, the argument here is not that it should. Not everything that manifests, and which is distressing is pathological or disorderly. Sometimes what causes distress is necessary and important and needs to be heard. Sometimes it connects us to the experience of those we left behind. Trauma has no boundaries. Contrary to Eurocentric ideas of bounded individualism, the way that we are impacted upon and shaped by phenomena and experiences which appear ever so distant from us; by time and space remains something of a mystery. But perhaps a mystery worth attending to. Psychoanalytic scholars; have theorised on the contagion of trauma. Acknowledging this communicable quality and; understanding the experience which distresses is central to limiting its contagion. It is believed. Dissociation; cutting/splitting off and other repressive strategies employed to avoid pain…silences, may increase the likelihood that trauma will become contagious. What we cannot face and what we cannot tolerate, has to express itself somewhere, somehow. It is interesting then, that it is the communicability of trauma which is believed to reduce contagion (Boulanger, 2016). Allowing both the processing and transformation of trauma into an empathic and integrated understanding. It’s almost a decade since my son wrote Sadness. And when I set out to write the current article; it was meant to be about my work in Yarl’s Wood; but there you have it. I have really written about my father. Something just led me to this piece. And so, I listened. On reflection, maybe that’s why I ended up in Yarl’s Wood; supporting and listening to women subjected to the worse kinds of violence mankind is capable of. Women who had also seen the world through red lenses and; struggled to get rid of the smell or taste of blood. Maybe; through them I was bearing witness to my father’s trauma too. Perhaps those who have suffered trauma and; can no longer speak, express themselves through the voices of others. Maybe the dead do speak to us after all. Maybe that’s why trauma won’t leave us alone, until it is spoken. And heard. I am really excited to be able to offer this new and forming support group which I hope, will become a healing and reflective space for women and non-binary people of colour. Below, you will find all you need to know about the group in a Q&A format. I have been running self-care workshops for over a year and one piece of feedback I recurrently receive is how very few safe spaces exist where we can be with each other and support one another in the business that is life and existing, as marginalised people. This group is an attempt at facilitating such a space. The group’s ultimate aim is to support our wellbeing and our increase our capacity to reflect and feel connected. Nonetheless, it has no specific purpose other than being an open space to just be and, as such it will be fairly unstructured. My hope is that it will provide an opportunity to be/feel seen, heard and feel supported by others with shared lived experience. This group is for women of colour and non-binary people of colour. Those who identify as trans women, are welcome to attend. When is the group starting? The group will start to meet in October, either on an evening during a weekday or during the week-end. It is anticipated that the group will meet weekly. This group is intended to be open, how long attendees use the space for, will be discussed and negotiated with each person concerned, it is likely that those able to attend for 2-3 months will derive the most benefits. Each group meeting will last 1h30. There is no set structure to the group and it will become what we make of it. Nonetheless, the group will meet regularly for a set time (1h30), on a set day (to be confirmed). I will be facilitating/conducting the group but I hope that the space itself and the presence of others in the group, will be similarly supportive and healing. These will take place in London Euston at the Marchmont Community Centre which is at 62 Marchmont Street, London WC1N 1AB. What if I am not sure I can attend every week or I am not sure I am suitable? 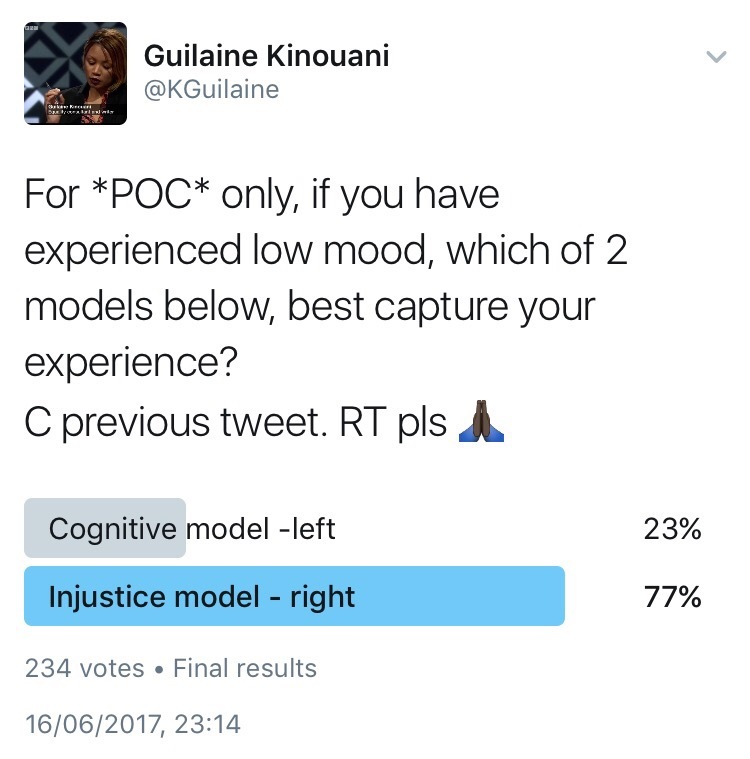 Will you continue to deliver your self-care workshops? Yes. However, my capacity over the next few months is extremely limited so this support group is likely to be the only regular space I will be holding in the community. Yes. As I need to cover my own costs. However, due to generous donations, I am able to offer each group session at the heavily subsidised fee of £7.50 per attendee. If this proves difficult for you, please contact me. Yes. Places will be strictly limited to 10 people maximum in any given group. They will be allocated on a first come, first served basis and a waiting list may be held so that when a place becomes available, it may be offered to someone waiting. PLEASE NOTE THIS GROUP IS NOW FULLY BOOKED AND HOLDING A WAITING LIST. IF YOU ARE INTERESTED TO JOIN US WHEN A SPACE BECOMES AVAILABLE PLEASE GET IN TOUCH. There is a small possibility that another parallel/different group may start next year, subject to capacity, do get in touch to leave your details if interested, and I will contact you if it materialises.